Where scholarly research meets one-of-a-kind collections. 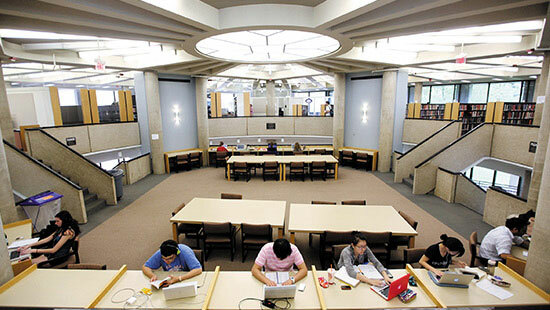 As some of the busiest buildings on campus, the libraries serve over 1 million visitors annually. They come for immense and varied collections, databases and electronic journals, governmental information and more. 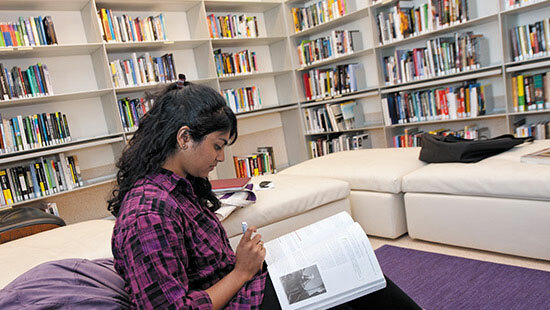 Northwestern’s Libraries rank 12th among private universities in the United States. The libraries' holdings include extensive backfiles of newspapers and periodicals, scientific documents, medieval manuscripts and the full text of every book, pamphlet or broadside published in the United States between 1639 and 1829. 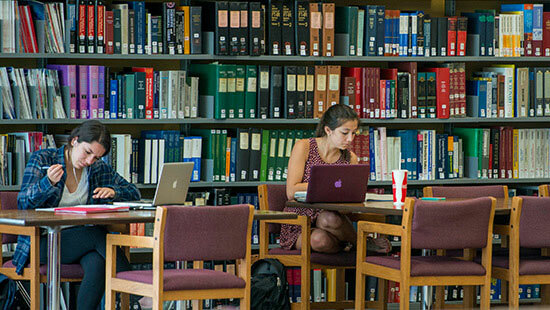 All library resources are available to anyone in the Northwestern community. 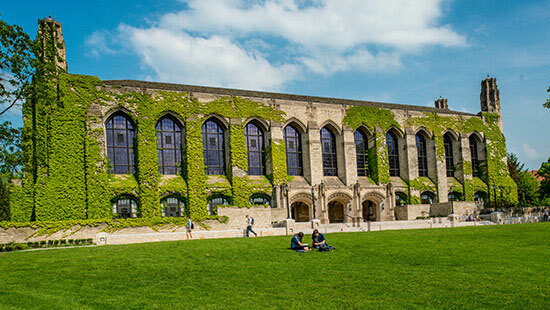 In addition to the main library on the Evanston campus are the Boas Mathematics Library and the Seeley G. Mudd Library. 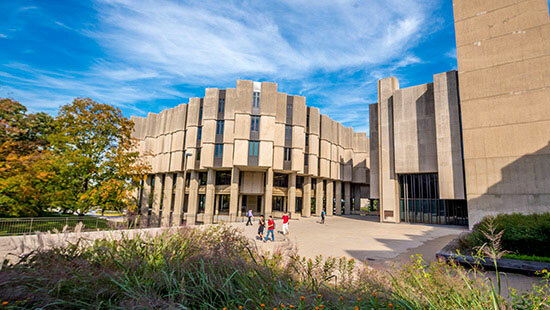 The Chicago campus is home to Schaffner Library, which is the campus's general subject library, as well as the Galter Health Sciences Library and Pritzker Legal Research Center. The Charles L. Deering Library is home to the Music Library, art collections and map collections, University Archives and the Charles L. Deering McCormick Library of Special Collections. 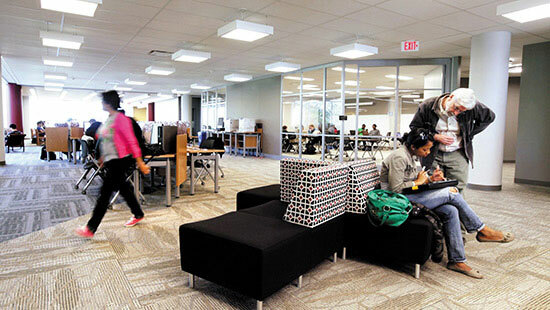 The main library is home to other collections, including the Melville J. Herskovits Library of African Studies and the Governmental Information Collection. 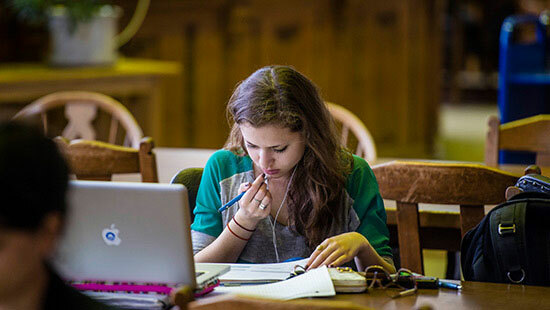 Access library materials, electronic resources and course reserves 24/7. 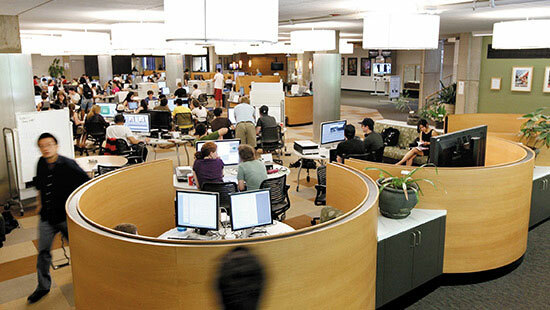 The University Library is open an average of 122 hours per week.